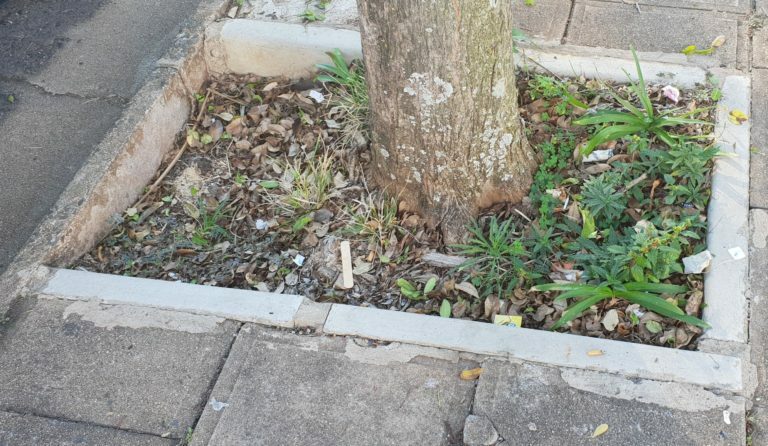 After receiving a request from Charlie’s management to attend to the large tree bowl outside the restaurant. 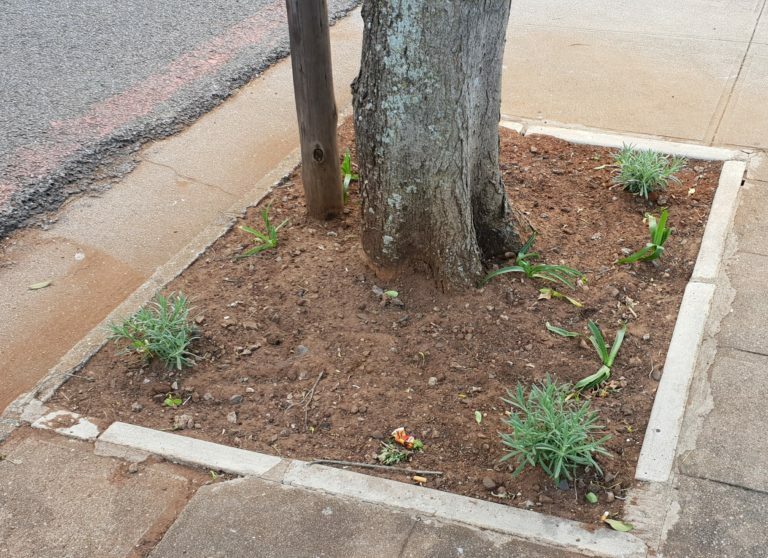 The Florida Rd UIP attended to the call for assistance on Friday the 1st of June and maintained the tree bowl which has a difficult time growing and thriving due to high foot traffic that hinders this. 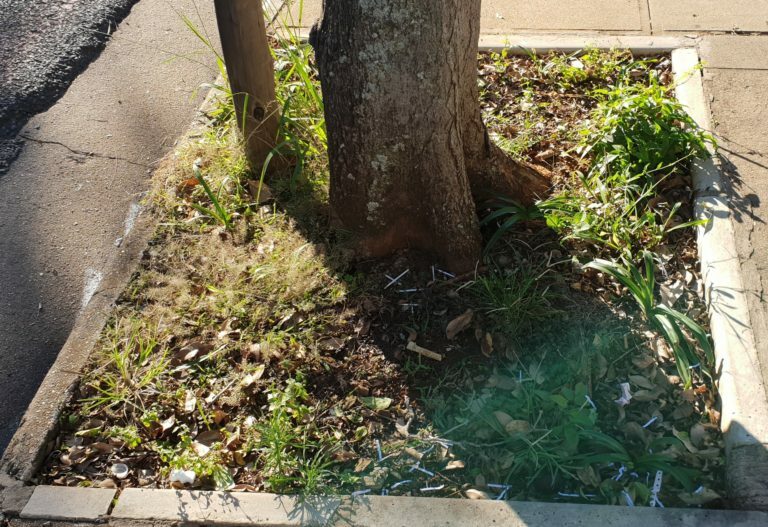 A decision was taken to use pebbles as a solution to prevent damage at the base of the tree. 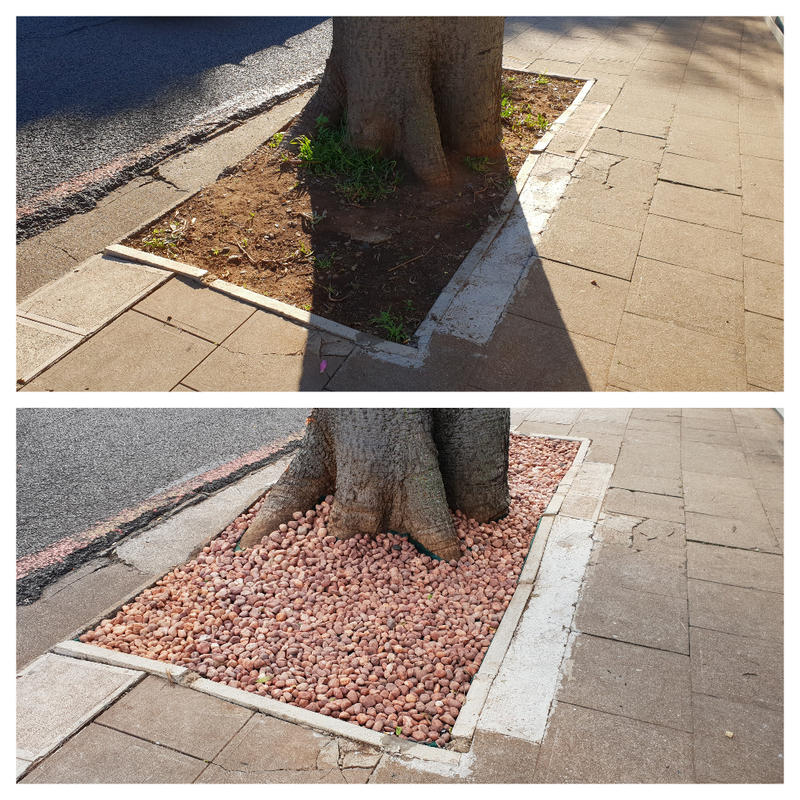 Two smaller tree bowls that fall outside of the Florida Road Urban Improvement Precinct where also worked on and maintained as they also required urgent maintenance.